These petite individual fruit tarts are made with a delicious sweet pastry and finished with an inviting lattice crust, making them perfect for sharing with family and friends during afternoon tea. Afternoon tea is such a treat. With the generous selection of crustless sandwiches, beautiful scones served with jam and cream, and the mesmerising array of pretty patisserie bakes, I would happily indulge in this classic British tradition everyday if it weren’t for the calories! 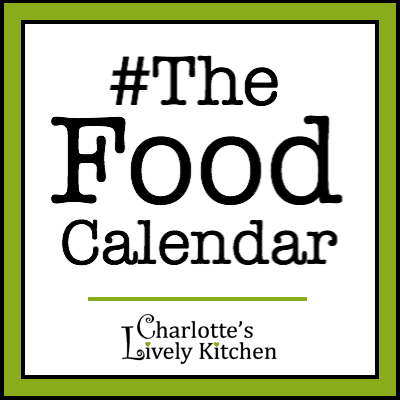 As afternoon tea is known for its small, dainty bakes and having a set of 6 petite tart cases in the cupboard and some recently foraged bilberries in the fridge, a dainty, individual bake was called for to mark Afternoon Tea Week (8th – 14th August). 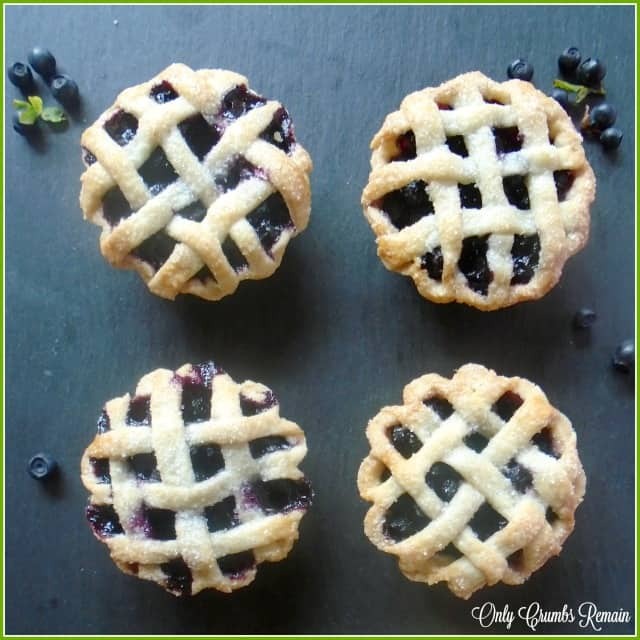 These individual bilberry tarts with a lattice crust certainly fell into the petite category having measured just 6cm across! They’re just so dainty! The lattice crust exposed the wonderful colour of the fruit so well. Purple. Jammy. Fruity. Delicious. Bilberries! 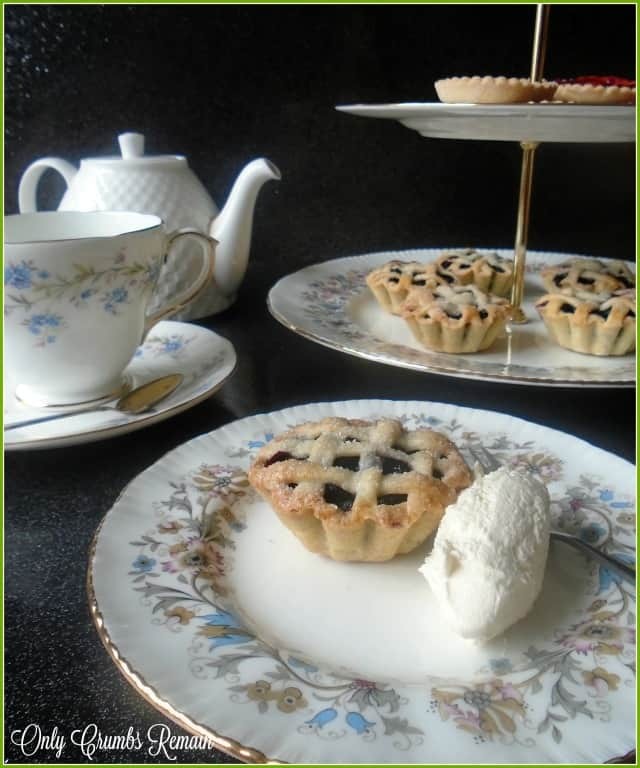 Now due to the dainty size of these bilberry tarts, the lattice crust was easy to achieve requiring a total of just 6 narrow strips of pastry, three laid horizontally and three vertically. The printable recipe below describes how to easily achieve a ‘weaved’ effect to the lattice crust, but of course if you’re short of time or simply don’t fancy being so precise then your individual tarts would look just as lovely and inviting ‘unweaved’ (ie the three vertical strips of pastry simply laid over the horizontal strips). The weave itself can be built either on a sheet of greaseproof paper which allows the lattice crust to be easily transferred to the top of the tart without disturbing the fruit, or it can be built directly on the tart itself, as I did. Both methods work well, it’s just a case of using the method which works for you. 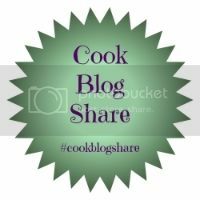 Recently I shared with you another recipe containing bilberries, individual Bilberry and Custard Crumble Tarts. Knowing that these little purple beauties produce a lot of juice I chose to blind-bake the pastry case in that bake, which worked well. In this bake, however, I sprinkled ground almonds onto the base of the raw pastry case to avoid that dreaded ‘soggy bottom’. As you can see from the image beneath, the ground almonds have done their job brilliantly by soaking up the excess juice! Of course, if you’re catering for somebody with a nut allergy you could blind bake the pastry case first and then mix a little cornflour into the berries before filling the cases. Alternately, another trick is to paint the blind baked pastry case with egg white, which helps to create a barrier between the juicy fruit and the delicate pastry. Regulars to Only Crumbs Remain may have noticed that this is the third bilberry recipe I’ve shared this summer. They’re so delicious, and are full of antioxidants. Mr E & I are lucky being able to forage for them locally, but if you’re keen to try this fabulous fruit and don’t live near areas of acidic soil (think moors of heather) where they grow, jars of Krakus bilberries can easily be bought from high street Polish shops or on-line at Bakers and Larners for £4.15 for a 460g jar (correct as of August 2016). Alternatively, if you enjoy gardening or have an allotment, you could consider purchasing a bilberry plant (this seller supplies them from February to late September), though you may need to consider growing it in a container as it requires acidic soil. A small individual fruit tart, made with a sweet pastry and finished with a pretty lattice crust. 1. Make the pastry. Place the flour, icing sugar and cubed chilled butter into a good sized bowl. Rub the butter into the flour between your thumb and finger tips until the mixture resembles breadcrumbs. Make a well in the centre of the breadcrumbs and add the beaten eggs. Using a rounded pallet knife, or the back of a table knife, cut through the mixture to make a dough. You may need to add a teaspoon of cold water to fully bring the mixture together. Tip the dough onto a lightly floured work surface and lightly knead the dough for 10 seconds. Shape the pastry into a ball and flatten into a disc. Wrap in cling film and place into the fridge to chill for at least 30 minutes (see note a below).2. Line the tart cases. Remove the pastry from the fridge. Divide it into 4 pieces of roughly equal size. Place one portion onto a lightly floured work surface. Lightly cover the remaining 3 which have been set aside with the cling film. Roll the pastry out into an oblong until it is about 3mm thick. Use a knife to cut the pastry in half suitable for lining two cases. 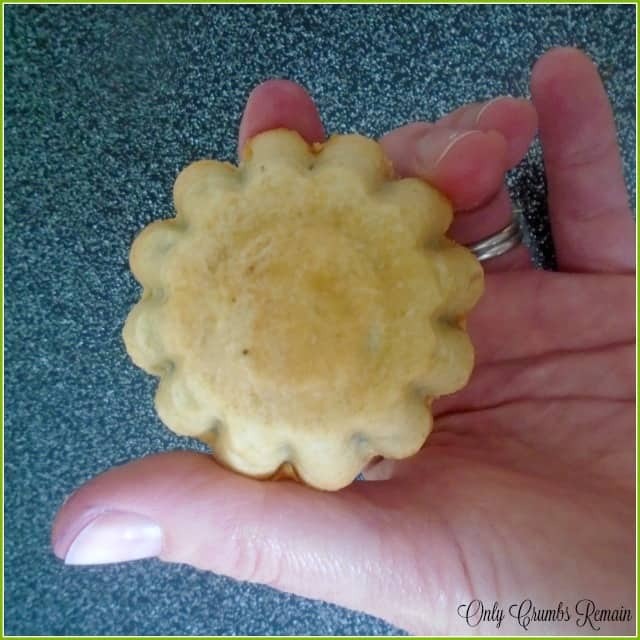 Gently lift the piece of pastry and ease it into the metal case. Gently tease the pastry into the case so that it sits into the edges well and picks up the shape of the fluted sides. If the pastry tears, patch it with surplus pastry. Avoid stretching the pastry. Line the other tart cases in the same way.3. Trim away the excess pastry. Use a pair of clean scissors to trim away the bulk of the excess pastry which over hangs the sides of the tart cases. Don’t worry about making it neat at this stage. Place the cases into the fridge to chill for at least 20 minutes.4. Prepare the strips of pastry. Place the 4th piece of pastry onto a lightly floured work surface. Roll the pastry out into an oblong shape, about 2-3mm thick. Carefully flour the blade of a sharp knife and use this to cut at least 36 strips of pastry about 5 – 10mm wide and 8-10cm long. Repeat flouring the knife’s blade if the pastry sticks to the blade. Gently transfer the pastry strips to a chopping board (or similar) and place into the fridge to chill.5. Prepare the bilberries. Gently wash the bilberries, removing any leaves, stems or spoilt fruit. If using jarred bilberries drain & rinse the berries. Dry them gently with kitchen roll. Place into a bowl. Add the lemon zest and sprinkle them with sugar, adding a little more if desired. Gently stir with a spoon to combine. 6. Pre-heat the oven to 180c / 160 fan / Gas 4. Place a low sided baking tray (ie swiss roll tray, or similar) into the oven to be warming through.7. Trim the pastry cases. Use a small sharp knife to trim the excess pastry from the pastry cases, so that the top of the pastry case is flush with the metal housing. 8. Fill the pastry cases. Sprinkle half a teaspoon of ground almonds into the base of each case. 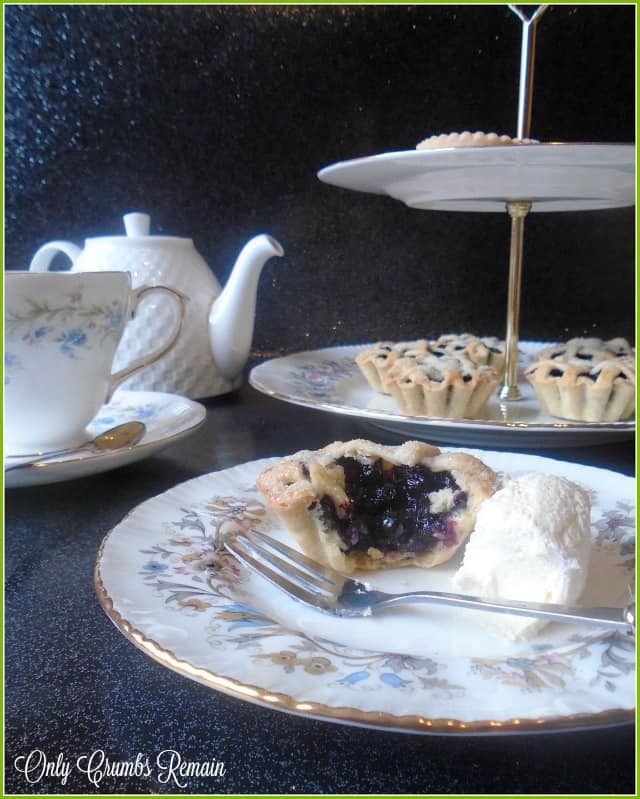 Use a spoon to fill the pastry case with bilberries. Aim to ensure each case is generously packed with the bilberries, they will breakdown a little during the bake. 9. Apply the lattice crust. (see note b below). Remove the pastry strips from the fridge. Aim to position the pastry strips onto the tarts so that they are evenly spaced. Lay a pastry strip vertically over the top of the pie, centrally. Lay the second strip horizontally, centrally, so that it forms a ‘+’. Lay the third and fourth pastry strip vertically, either side of the original vertical strip, so that they are parallel. Fold the central vertical strip back a little way from the top and lay the 5th strip horizontally to the top of the pie. Reposition the central vertical strip. Lift the bottom section of the central vertical strip and lay the 6th pastry strip horizontally, then reposition the central vertical strip. Once you’re happy with the positioning of the lattice, use your thumb to gently trim away the excess pastry from the pastry strips, in doing so it will secure itself to the pastry case.10. Finish the tarts. 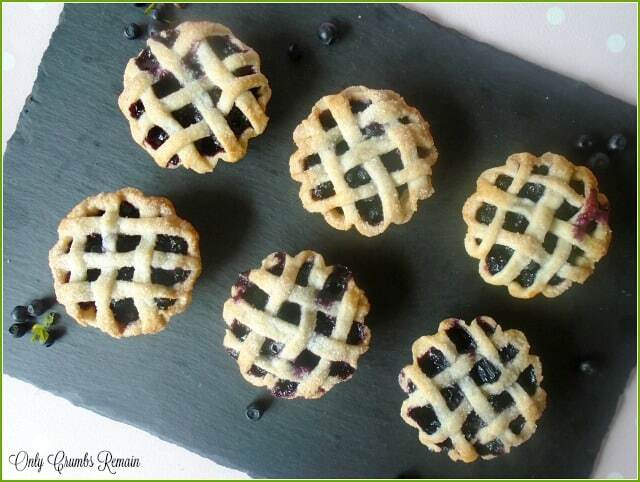 Use a pastry brush to gently paint a little milk over the lattice crust. Sprinkle with a little sugar. 11. Bake. Place the tart cases onto the pre-heated baking tray and bake for 30-35 minutes. You may need to rotate the tray half way through the bake. The tarts are ready when the pastry is golden brown. Remove from the oven and set aside on a cooling rack to cool.12. Remove from the tart cases. After 4 or 5 minutes of cooling remove the tarts from their cases. Use a small knife to gently tease them from their case. 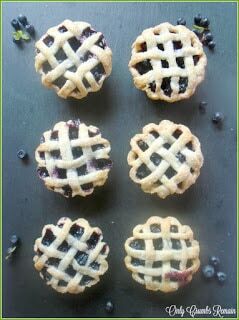 Avoid turning the tarts upside down as this could discolour the pastry crust with the bilberry juice within. Gently place them onto the cooling rack to finish cooling.13. Enjoy! Serve them as they are or with a little cream. a) The pastry can be chilled for a day or two before use. b) If you prefer, the lattice weave can be built on a small piece of grease proof paper which allows the design to be easily transferred to the top of the tart. c) The pastry off cuts could be used for making jam tarts or a currant slice, for instance. d) Other small fruits such as black currants or blueberries would be great if you’re unable to source bilberries. Thankyou Debbie, they're perfect for this time of yr now that the bilberries are starting to ripen. 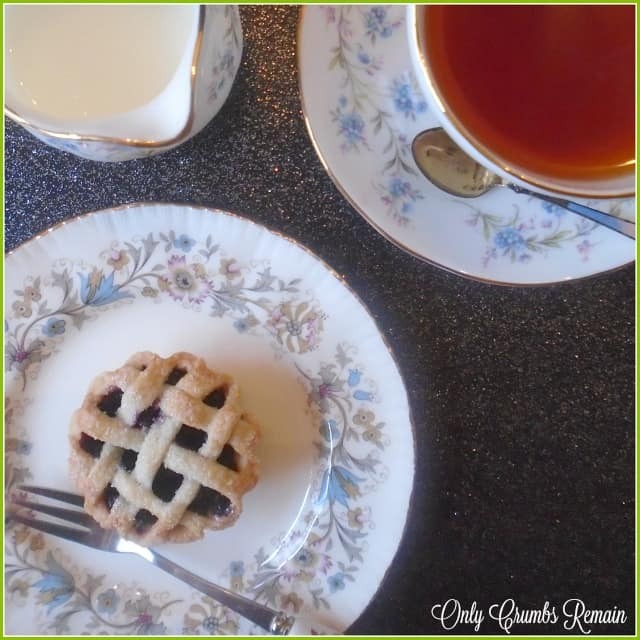 The lattice crusts look so pretty Angela – perfect for afternoon tea 🙂 What tin have you used for these? I love the fluted shape. Thank you Charlotte 🙂 They're such a cute dinky tin and because I bought them a couple of years ago i can't remember what brand they are. They're actually individual rather than being in a tray like a muffin or patty tin and only measured 6cm diam x 2cm high. Hahaha, yup, I see what you did there Betty. Ooh you'll definitely have to try and buy a jar of them Betty, I'm sure you'll absolutely love them. They do look so pretty and you are so lucky being able to foraee for them. I love bilberries and I know just where to get some…only problem is there up a rather large hill, in Wales…still I could use blueberries! These sound so good, just right for summer. These do look lovely. I am almost convinced to buy a bilberry plant, although my raspberries have taken over the garden and I have more than I know what to do with! Ooh I'd definitely get one Alison, if you can shoe-horn it in somewhere, they really are a fabulous little berry. Hahaha, I just love bilberries Eb. If we come across a bilberry bush on our walks I just 'have' to pick a few, I've even considered collecting them in my sun hat before now 😉 Ah, I think I should get my running shoes on more often Eb, though I think I wouldn't even be able to run to the next bus stop these days…..sad really because at one point I used to absolutely love cross country running.